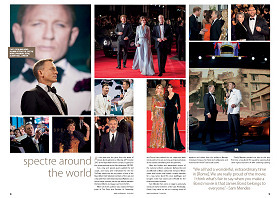 The multi-million dollar SPECTRE opened in cinemas late last year to a raft of expectation and a record-breaking first week at the box office. 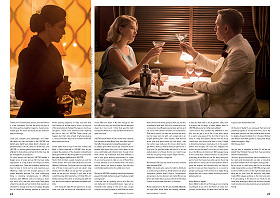 Although, as time would tell, the financial takings did not top its predecessor, the tone of SPECTRE struck a chord with many, and harkened back to an easier, more cavalier era of Bond. 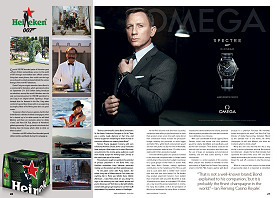 As its Associate Producer Gregg Wilson explains to MI6 in this issue, SPECTRE is bigger and bolder by design, and reveals an unburdened Bond. 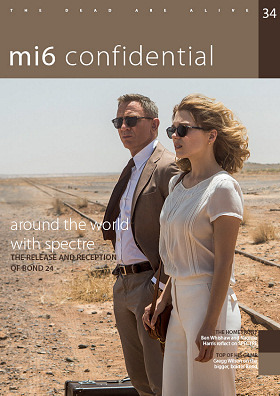 As well as conversations with Wilson, Ben Whishaw and Naomie Harris, this issue of MI6 Confidential magazine cast an eye back at the box office and global premieres of the 24th Bond film, and inspect the way the film was marketed via EON's many promotional partners.